Garsden & Clarke Kitchens & Interiors have been locally owned and operated since 1995 and are proud to provide quality custom kitchens for homes throughout the wider Brisbane area. With over twenty years of experience in design and colour selections and thirty years in manufacturing, Susan and Wes Garsden have built a strong, award-winning business with a reputation for quality and high design. The Garsden & Clarke Kitchens & Interiors new state-of-the-art showroom has been specifically designed to give you access to the most popular, innovative and practical storage solutions. Our highly qualified team of designers, with extensive knowledge and industry experience, will surpass your design expectations. If you are looking for innovation, exquisite up-to-the-minute colour and design advice, and the highest standard of quality and flair, we offer you the complete design service for your kitchen, bathroom, laundry, storage, home theatre or home office cabinetry. We invite you to visit our new state-of-the-art showroom to view the latest kitchen and interior finishes and trends. We are a family owned cabinetmaking business located in Clontarf on the Redcliffe Peninsula, north of Brisbane. We manufacture & install kitchens, bathrooms & custom cabinetry. Our dedicated team of cabinet makers are passionate about quality & providing superior customer service. Everything Cabinets specialise in custom Kitchens, Bathrooms and Laundry renovations and new homes. Your lifestyle and family needs are the focus for our designs. Call us today for a consultation. Company director Erwin Van Dyk prides himself on his craftsmanship and innovation which is why his company has achieved 100% referral work and repeat business since 1993. Erwin Interiors and Cabinets not only creates eye-catching kitchens, but they are quality built, functional with ample drawers, storage capabilities and bench space. The company has forged a close working relationship with the best in the business BLUM and HAFELE for furniture fittings. Erwin Interiors and Cabinets are kept at the forefront of kitchen technology and product innovation. Erwin Interiors and Cabinets deals directly with the public which allows you to cut out the middle man. The man who owns the company runs the company which offers you peace of mind every step of the way. Through years of expertise and a passion for creating custom-made kitchens of distinction, Erwin Interiors and Cabinets should be first choice to help you achieve your dream kitchen. CALL Erwin directly on 0419 33 22 32 or via e-mail - erwin@erwininteriors.com to arrange a FREE quotation and discover the difference of a fresh approach to creating dreams. Designer Kitchens focus is on the individual, to create a flexible and tailor-made kitchen with a personal touch. Whether you require kitchen renovation or are building a new home, we can cater to your needs. Our process involves one of our representatives coming to meet you at your home or alternatively going over your house/extension plans in our showroom and discussing your exact requirements as to materials and budget. We then schedule a second meeting with you in our showroom to follow up on design options and present our proposal showing some warranted thought to your needs. It’s time to design and build the kitchen of your dreams, with help from Mastercraft Kitchens. We are the experts in delivering functional, and fashionable spaces; specialising in the renovation, remodelling and installation of new kitchens for houses and apartments. We listen to your ideas and our designers create a space that combines practical kitchen workflow with elegance and style. All your custom designed cabinets are manufactured to size at our Brisbane factory using only the highest quality of materials, great attention to detail and our cabinetmakers master-craftsmanship skills. Your new kitchen is then scheduled to be installed fast and without any hassle. We offer an end-to-end service which makes projects with us much easier and more pleasant for you. We can organise your plumbing, electrical and other work you may need done throughout the duration of the project, if you wish. We enjoy what we do and that’s why we like to do all the work ourselves. Full quality control and client satisfaction is what we guarantee, and at the same time we are extremely competitive with our prices. 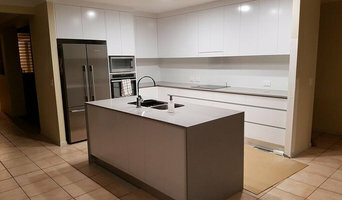 Mastercraft Kitchens services all of Brisbane, Ipswich, Gold Coast, Sunshine Coast and Toowoomba. 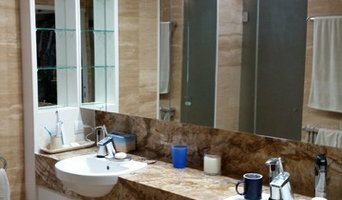 We also look after all bathrooms, laundries, wardrobes and custom cabinetry needs in your home. 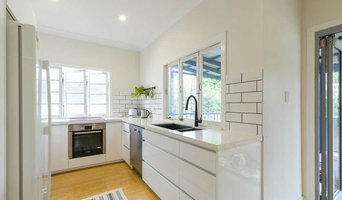 Designer Properties Australia are a leading design firm creating well designed spaces to suit every home in Australia. Our mantra is that every home deserves well designed spaces and we make this possible by offering a range of services to suit various projects and investment level. Rod’s Kitchens have been specialising in designing and installing custom-built kitchens since 1979 from a factory in Underwood. Producing on average 10 kitchens a week, we are large enough to enjoy bulk buying privileges but small enough to offer old fashion personal service through honesty, integrity and a strong desire to please our customers. With over 30 years’ experience and more than 20,000 kitchens under our belt, we know how to get the best results for our clients. This stems from the personalization of our service, the dependability of our staff, and the transparency and trustworthy nature of our service. 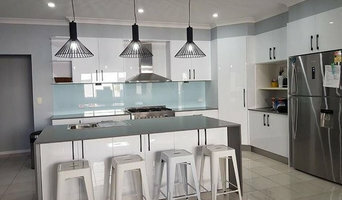 Best Kitchen Renovation Specialist Servicing The Gold Coast Our team at Kitchen Renovation 4U can help you transform your kitchen into the kitchen of your dreams. From a makeover to a complete new kitchen fit-out, we have a solution to suit any budget and kitchen. We will co-ordinate your kitchen renovation from start to finish ensuring plumber, electrician, tiler, plasterer and cornice works, painter and canopy installation can all be organised, which will make the renovation process flows nicely. We will provide you with a creative and functional kitchen best suited to your family and offer a high level of professional service. Some of our kitchen ranges are made locally in the Gold Coast,by our highly skilled cabinet makers using the best quality products and finishes made in Australia where possible, to Australian standards. At Kr4U we can offer much more than a new kitchen. If you require building works, walls and windows removed or installed, we are fully licensed to provide the best service to you. We pride ourselves on offering a full service to guide customers through the task of a kitchen renovation. From the benchtop, through to beautiful selection of door finishes and an amazing selection of componentry and lighting ideas we are here to help you. We have engineered stone available as well, which is a great is a option for a kitchen makeovers. We will always provide professional advice to all our clients. When you find it difficult to choose between a kitchen makeover and a new kitchen. Talk to the team!